The Inca textile art is one of the oldest textile traditions of the Andes, and became one of the most developed during the Inca apogee, by combining different materials and techniques (the result of the diverse culture of the achievements gained during other Andean ethnicities), the Incas were able to produce a wide variety of clothing and items of daily use. Highlighted by the Incas their tapestries and superb mantles of feathers, also of geometric designs. They had an extraordinary sense of symmetry, as reflected by the repetition of stylized figures arranged in a very orderly way. For the Incas the importance of textiles was religious, social and political life. They expressed their worldview, their sense of space and its divisions. They were symbols of social status. It is said that the geometric designs, which appear in some tissues, also served to identify the Incas and their families. From the political view represented textile treasures as well as interchangeable products that taxable cohesion empire. ''Lana'': the raw material indispensable for clothing, could be obtained from the llamas, which are shaved every two years, alpaca and vicuña (whose wool is very fine). Each camelid could provide up to 3 kg. The characteristic stamp of the ornamentation of fabrics is the contrast between the colors red, black and yellow. These simple designs could be combined into long strips or large square or complicated series of small geometric or zoomorphic figures. - Tocapu: It is well known us decoration of weavings based on series of squares with pictures inside it. - Geometric:The geometric shapes were the most common eight-pointed stars, diamonds and the various types of crosses. - Iconográfico:Some experts believe that the series of reasons for each tocapu equals a hieroglyphic language. - Zoomorfic:It was a direct reference to indigenous animals such as camels, llamas, vicuna, etc .- and all kinds of birds. camélidos -llamas, vicuñas, etc. 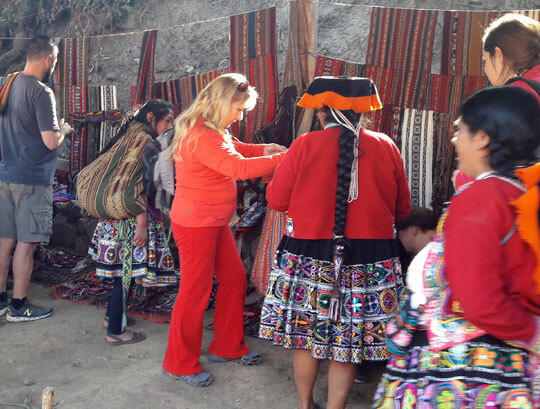 Inca textile tradition continues today to develop in different villages of the Andes, having acquired very different characteristics according to the people who prepare. 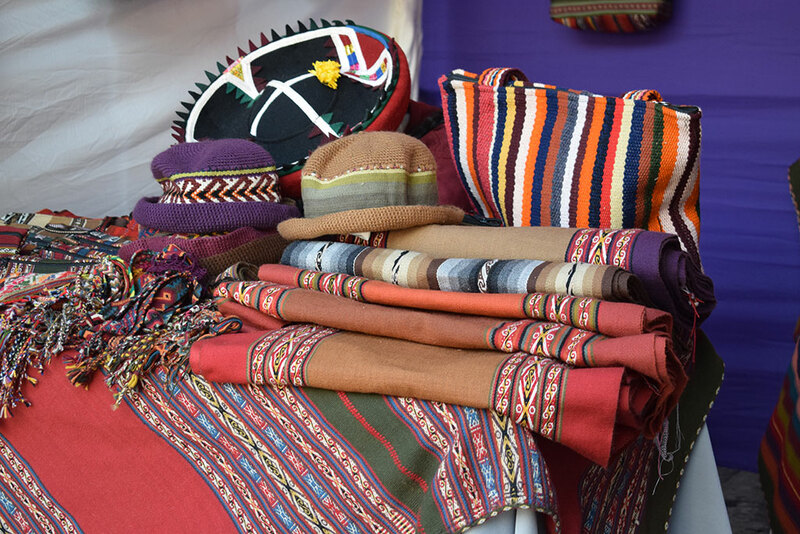 Currently there are very Chinchero textiles recognized for their dedication in developing and maintaining the tradition as a basis Inca textiles. Pick up from hotel and go towards the village of Chinchero, located approximately 30 km. the City of Cusco. After about 6 km. 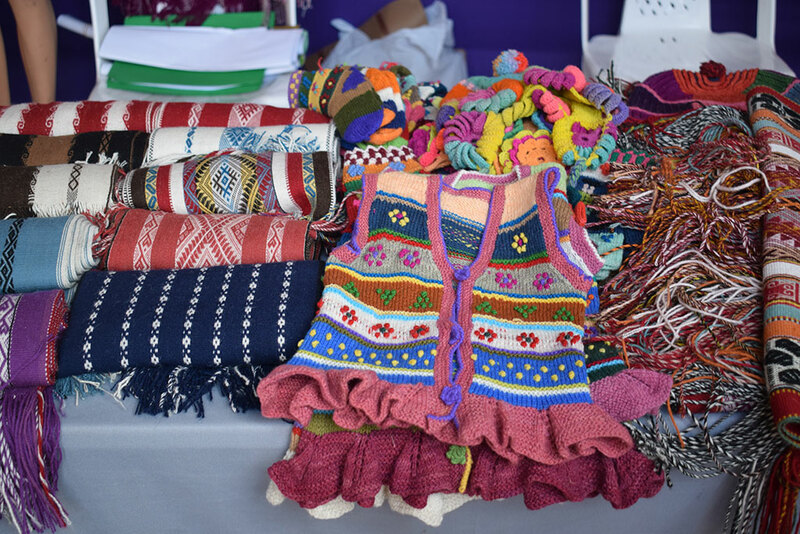 more to the weavers who will be waiting for us in a small town called Huatata, privileged by the impressive sight of the Andes, they are part of an association that was born in 1986 consisting of 12 partners artisans and producers tissue prepared by hand with natural dyes. Currently continuing to improve the techniques without losing the concept of production to make ancestral ponchos, chullos, chumpis, Chuspa, blankets, walkways, scarves, vests, etc.. all manufactured from sheep wool and alpaca with high quality. 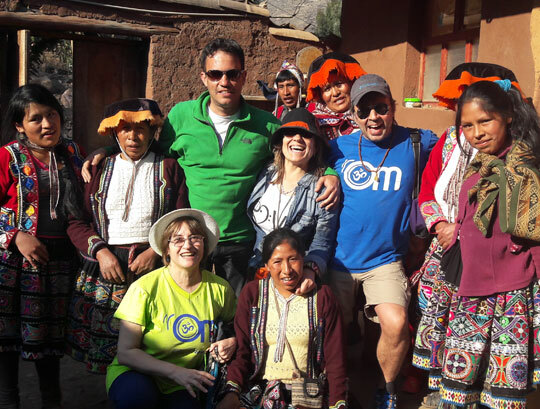 Return to the City of Cusco at approximately 2:00 pm.